Time To Start Holiday Cards! Happy December! My favorite month is here :) I love seeing all of the Christmas lights and decorations, watching Christmas movies and listening to Christmas music. In a few weeks we are going to a holiday concert. Our friend Owen is singing the solo in the opening number! Last night I got everything ready and hung my Advent calendar. 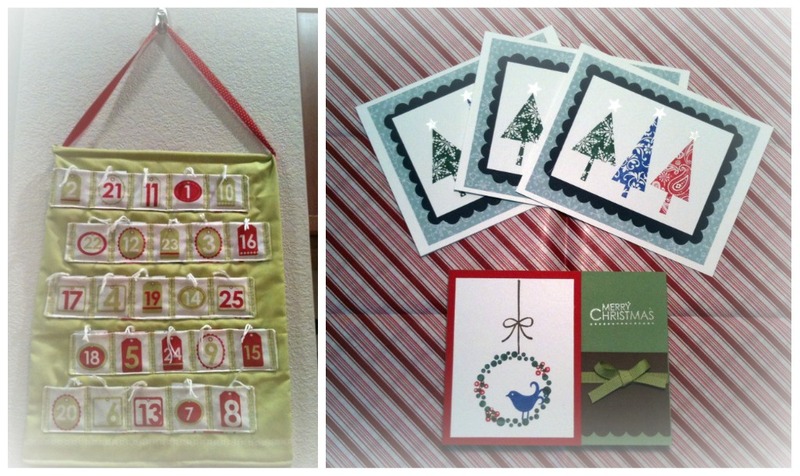 I still need to send out Christmas cards, and this year I’ll be sending a few that I made! I had a great time making these cards with some friends last month. I started reading A Christmas Carol. I’ve never read the book before, but we usually watch the movie every year. I’ve seen several versions of it, but the movie with George C. Scott is the one we watch the most. I also like watching White Christmas, It’s a Wonderful Life and the animated Rudolf and Grinch movies. What are some of your favorite Christmas movies? We had another snow storm last night. 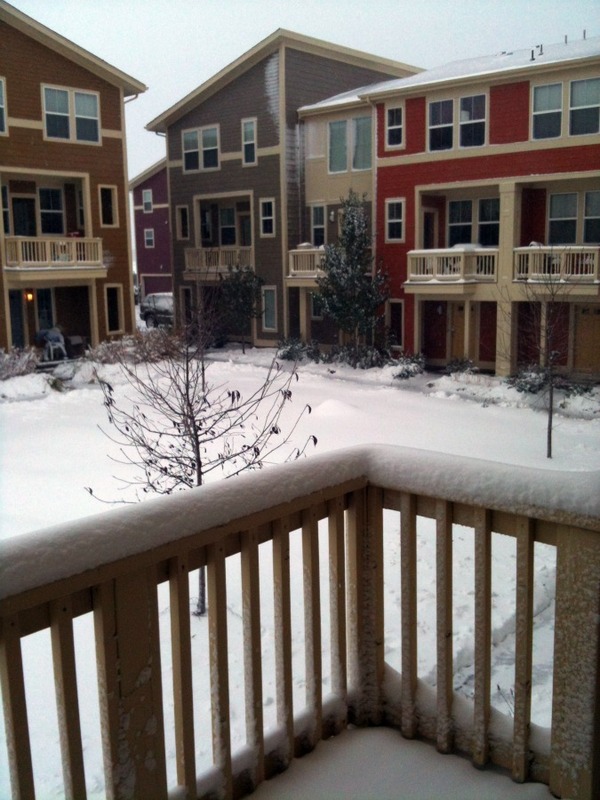 It’s still snowing, but should taper off soon. Sadly, we didn’t get enough for a snow day. 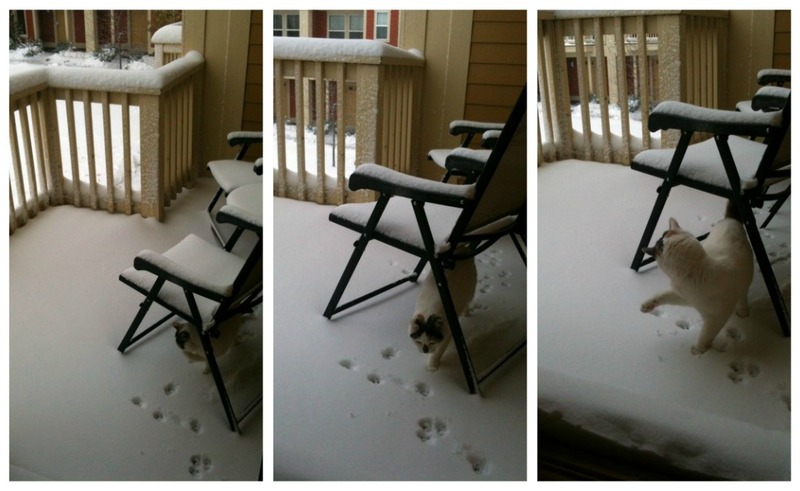 I let Charlie go out on the balcony before I left for work. 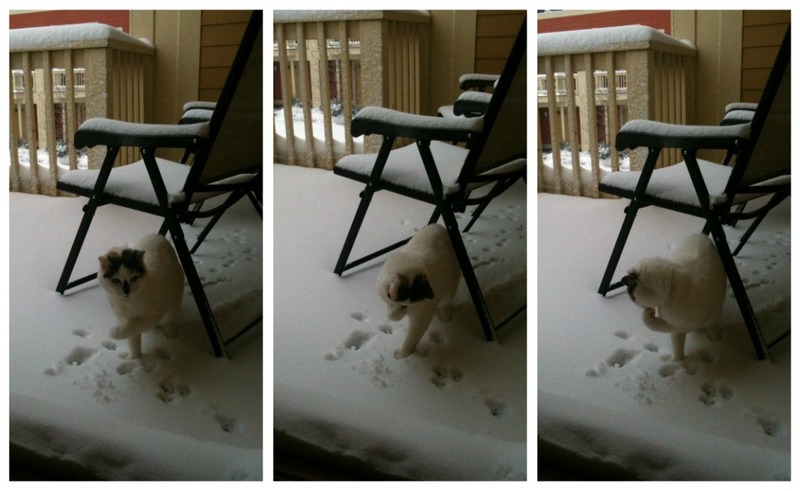 Kennedy came to the door too, but decided she didn’t want to go out in the cold. I hope those of you who have gotten snow recently are staying warm and dry! I hope you all had a nice Christmas! We had a very nice time with Nathan’s family. 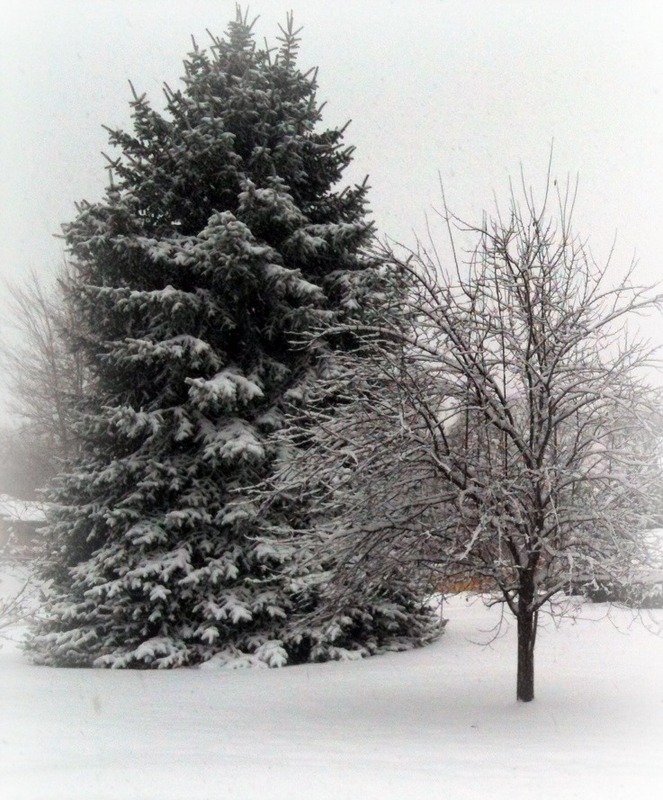 I was really hoping for a white Christmas, but sadly, we’ve hardly had any snow at all. I’m jealous of all of you who have so much snow right now! I know, you’re probably tired of it, and when it actually starts acting like winter around here, we’ll probably get buried in snow!